Ardern has kept her shocked population regularly updated, walked the talk in her embrace of the country’s Muslim community and flagged policy changes in relation to New Zealand’s gun laws. She has radiated deep compassion while publicly holding her emotions under control. A day later, when he was egged by a 17-year-old while appearing in Melbourne, Anning hit the youth twice. Immigration, refugee intake and the like are legitimate matters for vigorous debate. But politicians (and media) should conduct those arguments much more responsibly if they are serious about “standing against hate”. Scott Morrison and Bill Shorten have done what they should, and what you’d expect, in the immediate wake of the New Zealand attack. But is this enough? 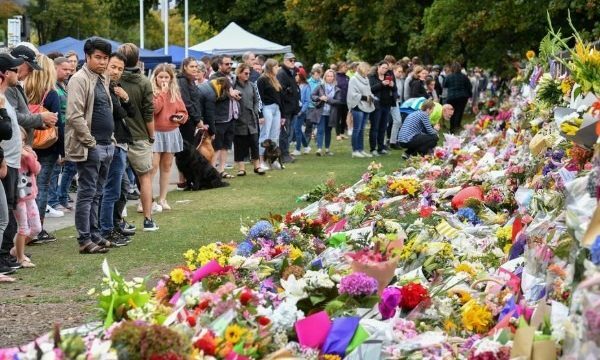 The New Zealand attack has opened debate about extremism and what is likely to give or deny it succour in this country. The countering of extremism of all sorts demands action on many fronts. One of them goes to political culture—that politicians should eschew the low road that self-interest too often leads them to take. The same, incidentally, should go for those in the media. And we have to recognise also that in this battle, the Internet, for all its virtues, is a formidable enemy. It fertilises the spread of extremist ideologies of all brands. It both enables and encourages unbridled outpourings of hate. But the commitment to “free speech”—admirable in itself—becomes dangerous when it morphs into a cover for hate speech or the targeting of minorities. Despite the Home Affairs department telling Yiannopoulos he might not pass the “character test”, Immigration Minister David Coleman granted him the visa. But following Yiannopoulos posting an offensive comment about the New Zealand attack, Coleman announced at the weekend he would not be allowed to come. The desirable immigration level, the appropriate size of the refugee intake and the like are legitimate matters for vigorous debate. But politicians (and media) should conduct those arguments much more responsibly than at present if they are serious about “standing against hate”.